Nalam centre : Nalam centre was inaugurated on 8 October 2016, it is a rehabilitation centre that is wellness oriented with multi-dimensional services supported by localized grass root mobilisers to promote the wellbeing and by reducing the risks of mental illness through Skills Development & Recreational Activities. The main activities are extension services to the nearby communities of the college and training socialwork students. Training in Indigenous Food : A representative from Women's Collective, a non-profitable organization, visits SMCDRIVE once a month and offers training for the women from the nearby communities. Women are trained to prepare low cost nutritious foods such as SamaiPayasam, VaraguSambar Rice, Mani Corn Dosas, Samai.Pongaletc. On an average, about 150 women participate and are benefitted by this programme every month. Clinic Services to promote Mental Health : A multi-disciplinary team from the NGO, The Banyan, Chennai, comprising of a Psychiatrist, Psychologist, SocialWorker, Counsellor and a Nurse visits Shanthi Bhavan every 3rd Saturday in order to provide treatment, holistic care and support to people living with mental disorders from the nearby communities of the college. The chief consultant is Dr. K.V. Kishore Kumar. The first mental health clinic was on 19th December 2015 and about 7 patients visited the clinic and the second, on 23rd January 2016 helped 14 patients. The clinic is open to all and is free of cost. After making a detailed assessment, patients are given total care: consultation, treatment and counselling services are provided by the professionals. The prescribed medicines are also given free of cost. It is slowly picking up and is becoming popular in the community. Counselling and Referral services : Professional Counsellors are available at the centre from Monday to Friday. It is open to all, both the College and the Community. The Counselling services offered are strictly based on professional ethics. After a thorough assessment, if necessary, referral services are also made. If needed, family counseling is also taken up. The Counselling services offered are free of cost and has been utilized by many from the college and the community. Support services for the Elderly : - In connection with observing the International Women's Day on March 8, 2016, SMCDRIVE, in collaboration with HelpAge India, organized a Health Camp for the elderly women from the nearby communities of the College (Nakkiran Nagar, Tiruvika Nagar, SS Puram, and MK Radha Nagar) on 23 February 2016. Consultation with the doctor and medicines were given free of cost. Arrangements are made so that the women can further utilize the mobile clinic services for follow-ups. Support services for Child Education : Educational support is given to 200 less privileged school going children to complete their studies with the help of ACA(Action Child Aid-Denmark and Madras Ladies circle No.2)This program has been successfully implemented for more than 35 years. 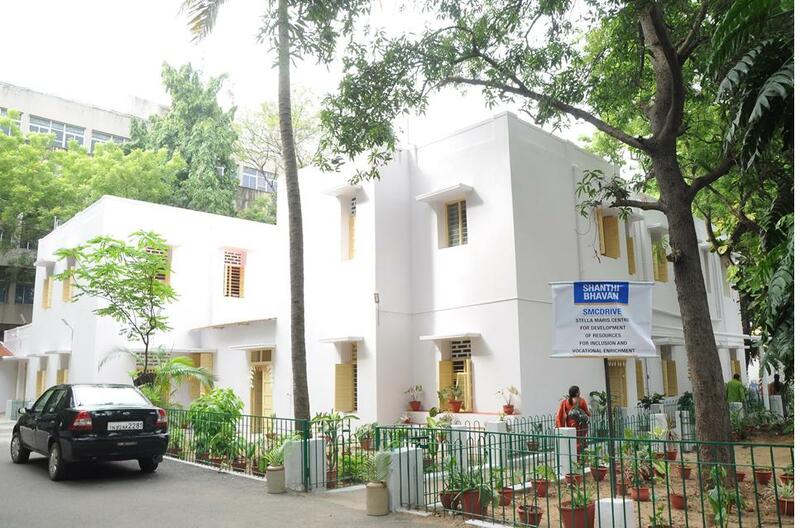 - A six month Lay Counselling Course is been offered by SMCDRIVE & The Banyan, Chennai for outsiders. - Short term courses as crash course in Counselling, was offered at a very nominal fees. - A six months Diploma program on community mental health for various grass-root development and health workers is been conducted in collaboration with the The Banyan, Chennai and Rajiv Gandhi National Institute for Youth Development (RGNIYD).